Promoting the purchase and use of electric vehicles within its service territory, Holy Cross Energy is offering a free Level 2 charger exclusively to its residential and commercial consumer-members who already own or are planning to purchase an EV. 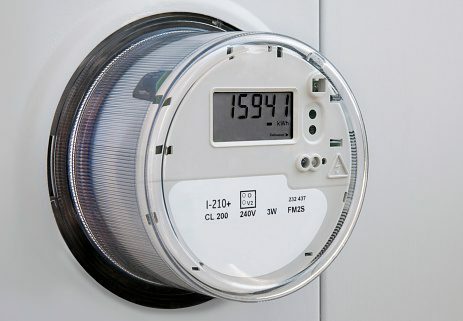 A Level 2 charger delivers household electricity from a 240-volt outlet, like what is used to power an electric dryer or oven. The Level 2 charger provides a fast charge and gives users the option of setting a timer to charge during off-peak times. Holy Cross Energy is an electric co-op based in Glenwood Springs, serving 55,000 members in the western Colorado counties of Eagle, Pitkin, Garfield, Mesa and Gunnison. More than 300 people gathered October 29 in downtown Denver to participate in CREA’s 9th Annual Energy Innovations Summit. Sponsored in part by Tri-State Generation and Transmission and Xcel Energy, the summit draws interest from across the country. Utility leaders discussed how the industry is in transition, and best practices for navigating those changes. 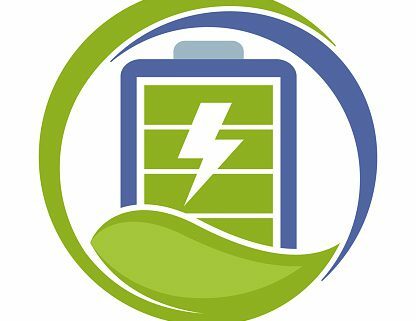 Breakout sessions included topics such as blockchains, energy efficiency and demand response, renewable energy, EV fast charging technology and co-op battery storage projects. Steve Collier, director of smart grid strategies at Milsoft Utility Solutions, spoke during the lunch session about threats and opportunities in the changing electric industry. PowerPoint slides and presentations can be found here. To hear the audio recordings of the sessions, visit this link. Electric cooperatives are committed to providing safe, reliable, affordable energy to their consumer-members, and in many parts of the country that includes increasing the availability of solar power. Roepke spent more than four years as NRECA’s liaison and co-project manager of the Solar Utility Network Deployment Acceleration (SUNDA) project, an initiative launched by NRECA with partial funding from a Department of Energy Sunshot Initiative grant. In that role, she worked with generation and transmission cooperatives, electric cooperatives and other organizations involved in planning, developing and assessing the value of various approaches to solar projects. Between 2013 and 2018, total solar capacity owned or contracted by electric co-ops grew from 94 megawatts to 868 MW. Electric coops host more than two-thirds of all utility-sponsored community solar projects. Tri-State Generation and Transmission, based in Westminster, has three projects totaling 85 MW of utility-scale solar in place. According to NRECA, Tri-State is the top solar G&T in the nation. Poudre Valley Rural Electric Association, based in Fort Collins, utilizes community solar energy from six sites throughout northern Colorado and owns 2.7 MW. “We have had a demand for a community solar option since we decided to build our first solar farm in 2012; the farm sold out before it was even built,” said David White, PVREA vice president of member relations. “Members continually requested a solar offering so we constructed a second solar farm that is five times bigger than our first solar farm, which sold out just a few months after construction was complete. Solar projects, regardless of size or structure, help to build a knowledge base accessible to all electric co-ops. PVREA’s first community solar project was Highlands Community Solar, followed by the Willox Community Solar Farm. Both thrived but were Power Purchase Agreement projects, which means the farms are owned and operated by a separate entity that PVREA purchases the energy from. “With the success of two solar farms under our belt, we decided to build our third solar farm: the Coyote Ridge Community Solar Farm,” White said. With this project, PVREA wanted to take a different approach where the cooperative would own and operate the solar array, eliminating the need for a third party to maintain the farm. However, the co-op did not yet have the experience to do it on its own. “SUNDA was a great resource for PVREA, providing information on engineering, procurement and construction. We found their financial analysis tool to be instrumental in evaluating options,” White explained. Materials provided by SUNDA help electric cooperatives with everything they need to know about the process of attaining solar power, from conceptualization to planning and execution, as well as communication with the co-ops’ memberships. White explained that SUNDA’s resources helped cut the amount of time it would have taken otherwise to build Coyote Ridge, which sits at 74 percent subscribed today. Several SUNDA participants contend that declining prices helped move solar from a demonstration or educational technology to a competitive asset within wholesale generation portfolios in many areas of the United States. Solar products and components are improving, and the manufacturing and vendor base continues to expand. 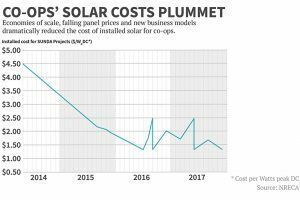 That led to substantial declines in the cost for deployed solar. According to NRECA, the per-watt costs declined from $4.50 for the first research project in 2013 to less than $1.40 per watt in 2018. 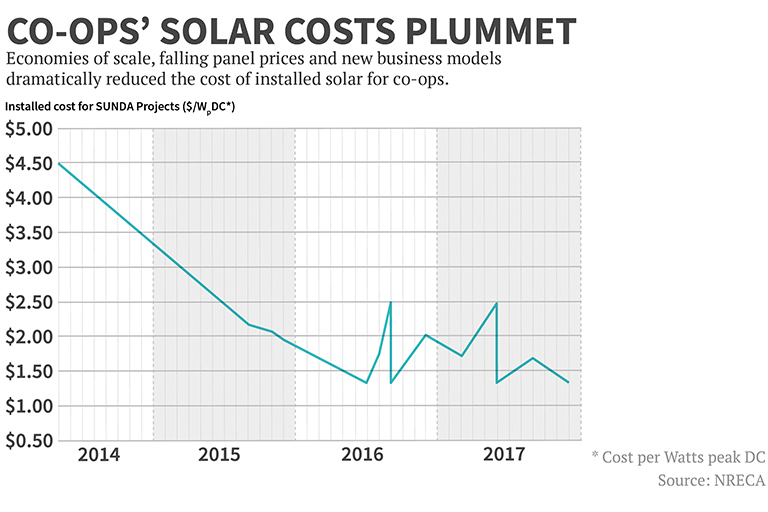 “The ultimate economics of solar lends itself to serious consideration as a daytime resource,” said Todd Bartling, vice president of renewables development for the National Renewables Cooperative Organization. With an average of 300 days of sunshine annually, Colorado electric cooperatives are primed to benefit from this renewable energy resource, given their membership’s support. Thanks to the SUNDA project, all of this information is available to electric co-ops. Shared experiences and open discussion are among the greatest strengths of the electric co-op movement. Derrill Holly writes on consumer and cooperative affairs for the National Rural Electric Cooperative Association. Amy Higgins is a freelance writer for Colorado Country Life magazine.